Знание - мощное оружие, и книга - лучший носитель знания. И путеводная нить... И это великолепный образчик той литературы, что приносит знания, необходимые и полезные в области военной, политической сфер - "A Modern Theory of Random Variation. With Applications in Stochastic Calculus, Financial Mathematics, and Feynman Integration"
A ground-breaking and practical treatment of probability and stochastic processes A Modern Theory of Random Variation is a new and radical re-formulation of the mathematical underpinnings of subjects as diverse as investment, communication engineering, and quantum mechanics. Setting aside the classical theory of probability measure spaces, the book utilizes a mathematically rigorous version of the theory of random variation that bases itself exclusively on finitely additive probability distribution functions. In place of twentieth century Lebesgue integration and measure theory, the author uses the simpler concept of Riemann sums, and the non-absolute Riemann-type integration of Henstock. Readers are supplied with an accessible approach to standard elements of probability theory such as the central limmit theorem and Brownian motion as well as remarkable, new results on Feynman diagrams and stochastic integrals. Throughout the book, detailed numerical demonstrations accompany the discussions of abstract mathematical theory, from the simplest elements of the subject to the most complex. In addition, an array of numerical examples and vivid illustrations showcase how the presented methods and applications can be undertaken at various levels of complexity. 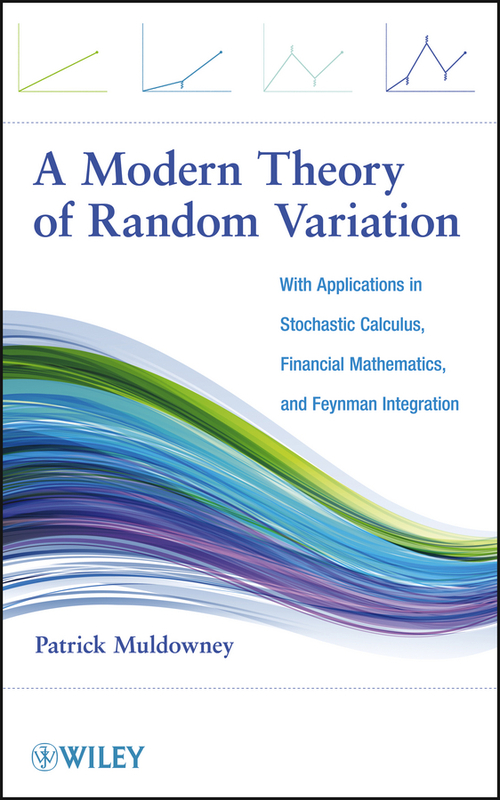 A Modern Theory of Random Variation is a suitable book for courses on mathematical analysis, probability theory, and mathematical finance at the upper-undergraduate and graduate levels. The book is also an indispensible resource for researchers and practitioners who are seeking new concepts, techniques and methodologies in data analysis, numerical calculation, and financial asset valuation. Patrick Muldowney, PhD, served as lecturer at the Magee Business School of the UNiversity of Ulster for over twenty years. Dr. Muldowney has published extensively in his areas of research, including integration theory, financial mathematics, and random variation. Смеем надеяться, что "A Modern Theory of Random Variation. With Applications in Stochastic Calculus, Financial Mathematics, and Feynman Integration" окажется своевременной, полезной и познавательной.